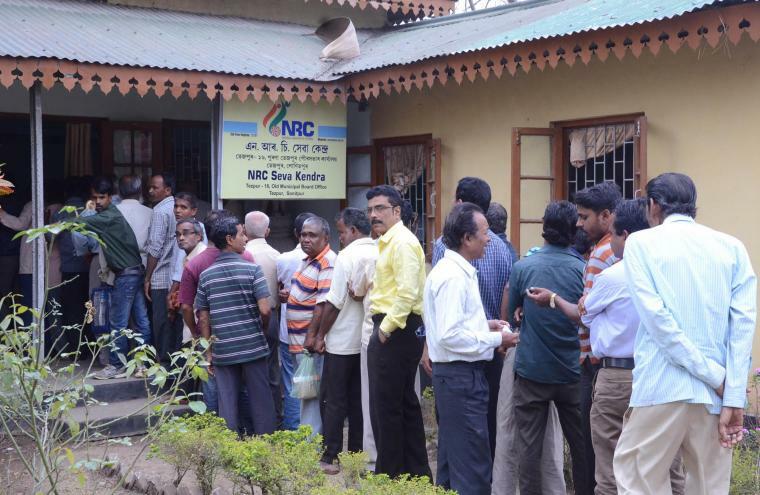 The much-awaited draft NRC will be published in a hand written format on December 31. Sources said that the manuscript of the draft NRC is currently being prepared by the NRC authorities. While the draft NRC will be hand written, the printed or digitalized version of the citizenship document will come later. Refusing to divulge details and reasons behind publishing the draft NRC sources said the NRC authorities is giving the top most priority in making the document error free instead of laying priority whether it should be hand written or printed or digitalized. Meanwhile, the Opposition Congress has already opposed the decision of publishing the draft NRC in hand-written format. The leader of the Opposition and chief of Congress Legislature Party, Debabrata Saikia, in a press statement issued on Sunday evening questioned whether the development was a new ploy to delay the entire process. Saikia said that the hand written format is more likely to contain misspellings or illegibility and is even susceptible to charges of tampering. This could result in people being forced to approach the Courts and consequently delay the publication of the NRC, he said. On other hand, after the recent directive of the Supreme Court to publish a partial draft NRC by December 31, the NRC authorities and the State Government are in full swing to complete the task. The draft NRC will be published after considering applications of 2.38 crore people to enroll their names in the citizenship document. The NRC State Coordinator Office has also constituted 6200 re-verification teams under the supervisions of deputy commissioners to recheck documents submitted by 38 lakhs NRC applicants. Verification will be completed by December 31, 2017.